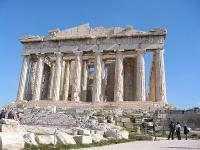 I just returned from the 9th International conference on Transformative Learning, held this year in Athens, Greece. I was struck by the constructive engagement of different points of view expressed by the Americans and the Europeans. The field of transformative learning grew out of Jack Mezirow’s work at Columbia University in adult education, and he and his many colleagues now around the globe seek to understand the form the transforms. Shortly after the conference I was talking with a student about critical thinking and this very bright, astute student associated critical thinking with criticism. He worked for a large company where the common form of interaction was to criticize and try to shoot down people’s ideas. Naturally, he saw this as a destructive practice, one that discourages creativity and innovation, when the company desperately needs innovation to be competitive. So what does critical thinking look like? At the core, critical thinking is about recognizing and challenging beliefs and assumptions, in a way that constructively brings them into conversation to be considered, given the context of the time or situation. Some say that it is the process of thinking about thinking, or becoming aware of how we think about something to the point that we can consider whether that thinking is serving us well. And it provides the space and opportunity for different points of view to be considered. Two important competencies for critical thinking are an understanding of systems and cultural contexts and asking powerful, thought provoking questions. We cannot think critically about something if our frame of reference is narrow. We need to be knowledgeable of the context and the systemic interactions and dynamic relationships that are at play. This skill of systems thinking develops as we focus our attention more on the relational dynamics rather than just the observable behavior. Let’s take a look at this related to leadership. Leaders are often viewed as effective and strong if they show up confident and can speak in a way that demonstrates that confidence and inspires others. While these are important characteristics of leaders, they really don’t tell us much about how effective that leader will be in his/her daily interactions. Why? Leadership is a relational act. Effective leaders support and mentor others to have confidence and develop the needed competencies and skills. They are most effective when working in relationship with others, clearing the obstacles and providing the resources necessary for others to succeed. Leaders no longer can act alone. The complexity of all of our human and organizational systems requires shared leadership – leaders who work well through relationships. Critical thinking comes into play in the above example in two ways. First, when we see a leader who is confident, charismatic, and a great motivational speaker, we might admire those traits and instead of assuming that person is a good leader, we would want to inquire or observe her interaction with others, raise questions about how she supports and enables others, and observe her interactions with her all her colleagues. Critical thinking can help us transform our understanding of leadership and create new ways of identifying and developing leaders who can transform organizational systems. Next time you see a leader who makes a good impression, look beyond the surface of how that person shows up and consider how effective he might be in working collaboratively with others, sharing leadership and supporting others to be great leaders.